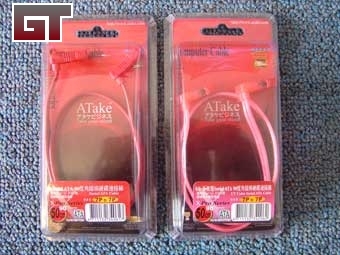 Awhile back we took a look at a couple of ATake rounded IDE cables from Wisetech, and I was rather impressed by their quality and performance. Now that I finally managed to get my SATA system to work, I can take a look at a set of their SATA cables. 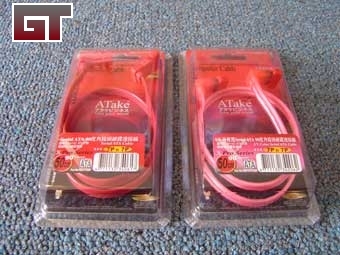 The cables come in plastic cases that are surprisingly easy to open, but should be more than enough to protect them from damage. As you can see, the cables are 50cm long, which comes out to be nearly 20 inches. This makes these cables considerably longer than any other SATA cable that I have. 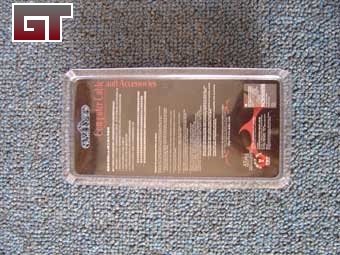 The back of the package contains surprisingly detailed information about the cables, particularly in regards to what not to do with them.